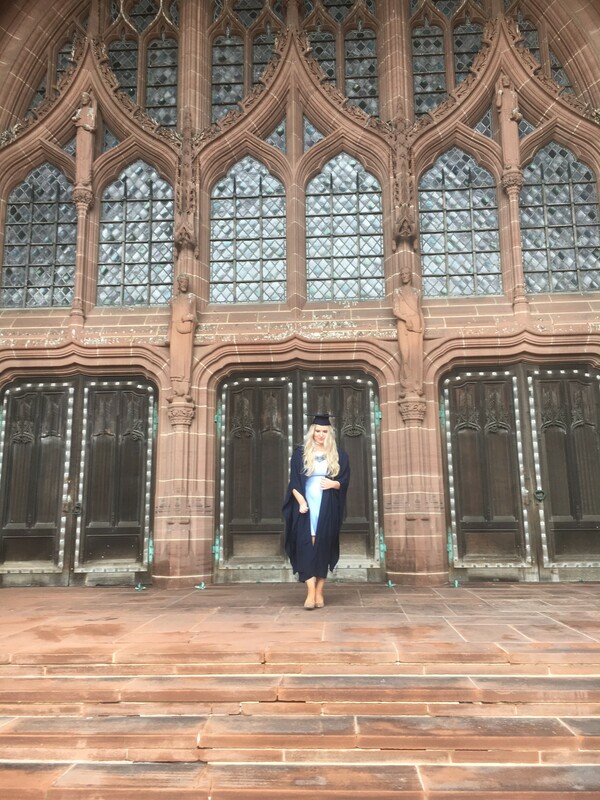 This is Emily, a member of our recruitment team proudly standing on the steps of Liverpool Cathedral last week having graduated from Liverpool John Moores University. -I left University having received a free education and grant funded accommodation; Emily represents a generation of which two thirds of graduates are expected to never repay their full University debt. -I worked 6 hours a week in the local supermarket to earn my beer money; Emily worked full time selling cars whilst simultaneously attending lectures, sitting exams and writing her dissertation. -I moved out of my flat share and back to my Mum’s the weekend after completing my last exam; Emily continues to live in her modernised Edwardian loft apartment, complete with underground parking! 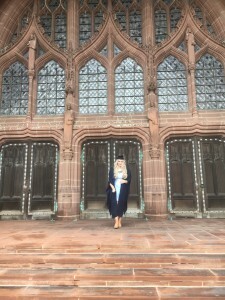 -After graduating and trying full time employment for 9 months in a sales-based role, I became disenfranchised with the lack of development that my employer was providing and after attending a number of other sales-based job interviews, decided to enrol on a postgraduate course that saw me back full time at University and ‘far too busy to get a job’; If Emily ever decides to return to University she will have to think very hard about whether the cost will provide a full return on her ongoing financial investment. I find myself frustrated by the many articles that I have read recently about the perceived sense of entitlement that is being expressed by ‘Generation Z’…for those continuing into Higher Education they will have had to invest a hefty financial investment and as such, have paid much greater consideration to the opportunities that will be available to them on leaving University. Today’s Graduates are far more tenacious in their drive to bring their learning into the workplace because they had high expectations of the University that they selected and how it was going to equip them for the journey ahead. It’s also a commonly known fact that due to their universal engagement with social media, millennials are placed under huge pressure to promote a glossy image of their appearance and lifestyle and whilst I don’t envy them that, it means that they are much more inclined to compete and attain desirable personal goals. There is however one commonality that Emily and I both continue to have in common…a fundamental need to find an employer who will recognise our desire to continually develop and be able to apply our skills and experience and most importantly, to enable us to feel a sense of purpose and meaning alongside of the monthly pay cheque. This may sound self-effacing in the first instance but it is this very desire that is driving the growth and innovation within the technology sector-doubters should read up on Aaron Hurst’s ‘Purpose Economy’. I work with technology sector organisations to help them to find new graduates who are a good fit for their sales based roles and then most importantly, once placed to then effectively develop and retain these employees by providing formal ongoing training and development through their completion of the ‘ISMM Diploma in Professional Sales’. I wonder if having entered into sales back in 2000, I had been offered similar training and support I would have stayed on in sales…After all, here I am 17 years on working within this very profession! If only I knew back then what I know now!